The Eyes Have It, originally uploaded by BlueBeyond. The variety of Macro Life around Billy Ghizo Point, near Uepi, is amazing. 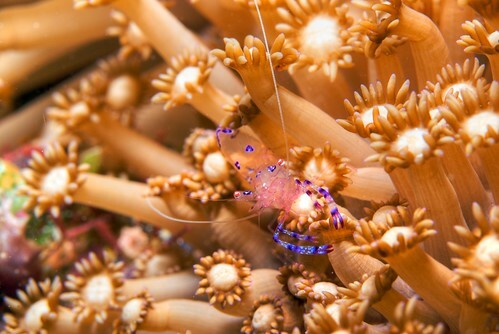 On this dive site we found a variety of nudibranchs, pygmy seahorses, clingfish, and tiny, translucent shrimp like this. I love the way the eyes are looking right at the camera!